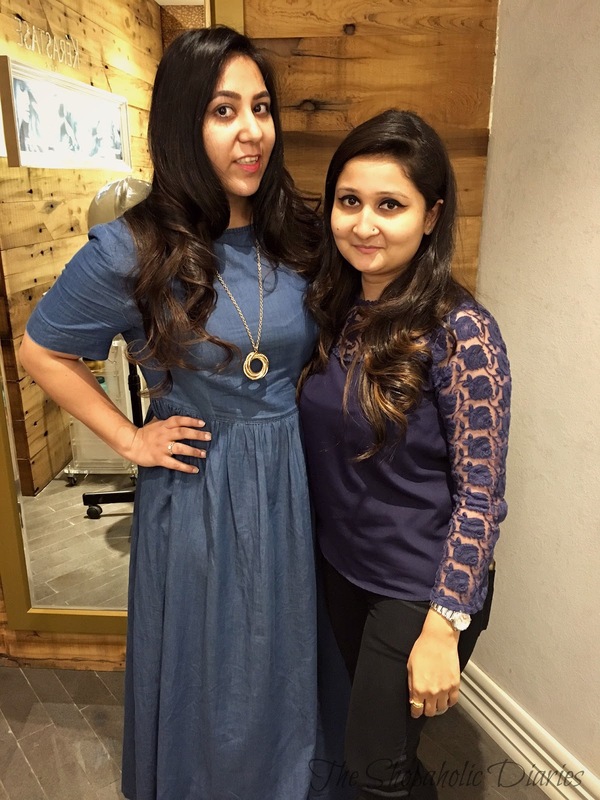 Review : Hair Makeover by Sumit Israni | Geetanjali Salon, DLF Mall of India, Noida | The Shopaholic Diaries - Indian Fashion, Shopping and Lifestyle Blog ! You all might be knowing that I am a fan of Geetanjali Salon and get all of my hair services done from them only. 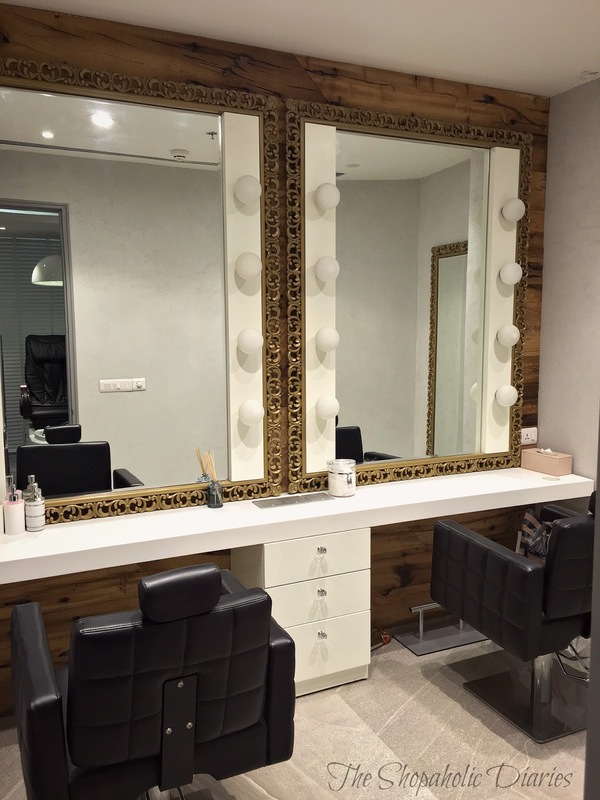 My first hair color experience was at their Hair Studio in Select Citywalk and since then, I have always preferred Geetanjali Salon for all kind of hair and makeup services. My ombre hair had now grown too long and I was bored of my look as the color was only visible at the tips (after 2-3 hair cuts over 2 years). So, after giving it a thought, I decided it was time to get a hair cut plus a new look for my hair. I visited their new swanky branch at DLF Mall of India for a global hair color treatment first. 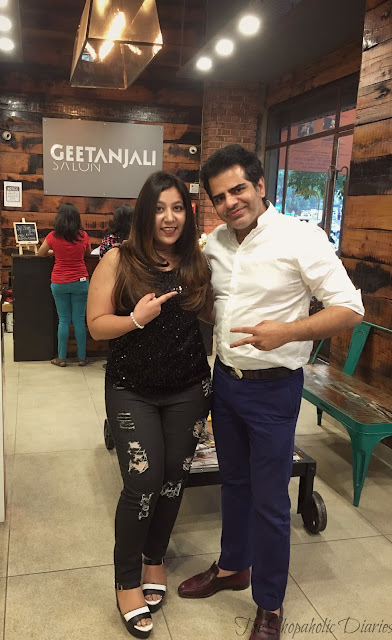 I was welcomed by Jyoti, their branch manager who gave me a brief tour of the new outlet which is spacious and lavish - as par as all the other branches of Geetanjali Salon. After the brief tour, my hair stylist Ali had a word with me regarding the kind of look I want to have, and I told him I want a subtle hair color without cutting my hair short. We decided to go ahead with a Mocha light brown shade all over my hair with subtle highlights in L'oreal 7.18 shade. The process included firstly coloring my hair globally, after which it was washed out and dried completely. Then the highlights were done following the same process. The end result was a very complimenting yet subtle hair color which I really liked. I also got a Fusio Dose treatment which is basically a quick fix from Kerastase that adds radiance and shine to colored hair. It works to strengthen hair and prolong hair color results between coloring appointments. 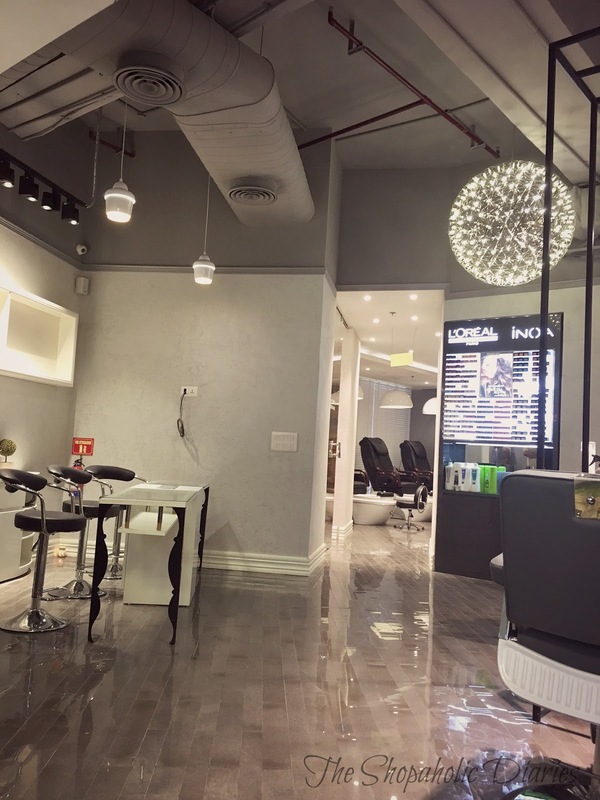 Post hair-color, it helps lock-in color at the roots to help maintain hair highlights, or at mid-lengths and ends for ombre hair and Balayage hair. 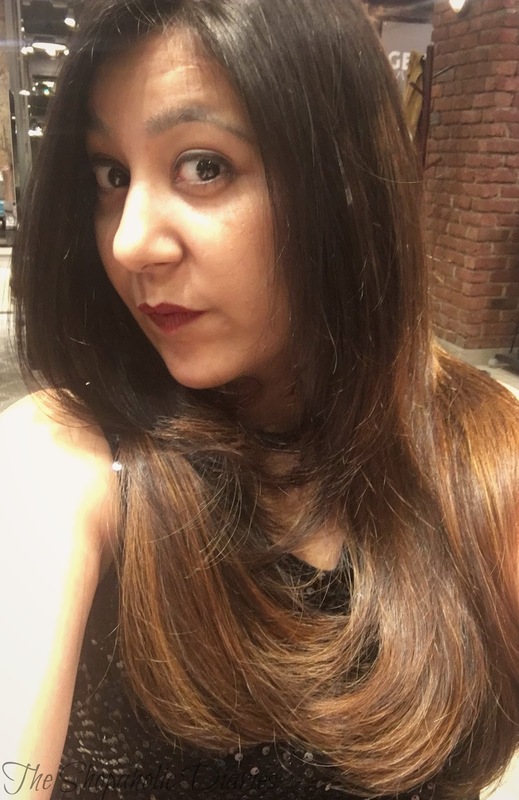 But even after my global hair color, I wasn't completely satisfied and finally decided to consult Sumit Israni - the hair maestro himself to transform my hair. Sumit's hands work like magic on the hair, as he completely understands his client's needs and transforms the hair as per the face cut and hair texture. 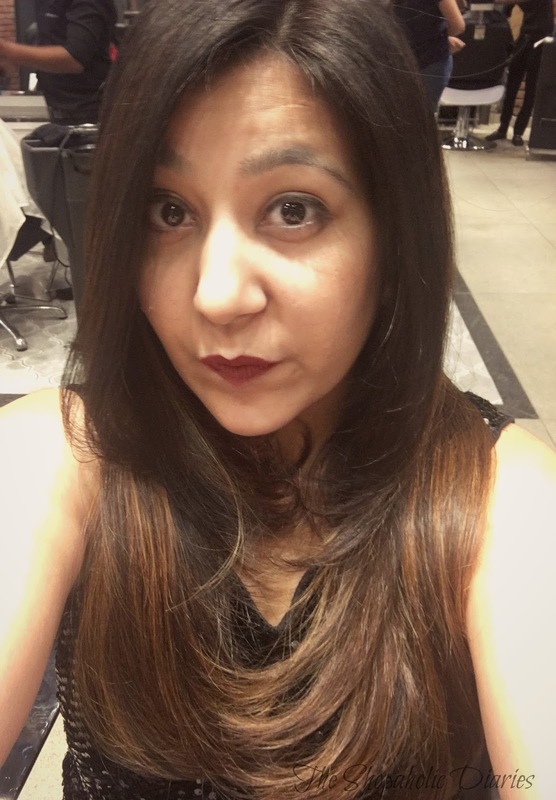 After discussing with him that I want to have a more vibrant hair color that instantly brightens my face and that I wish to maintain my hair length, he just asked me to wait while he gives me a chic cut that adds volume to my hair and balayage effect. Balayage is a freehand technique where the colour is applied by hand rather than using the traditional foiling or cap highlighting techniques. Was I happy with my new look? Absolutely! 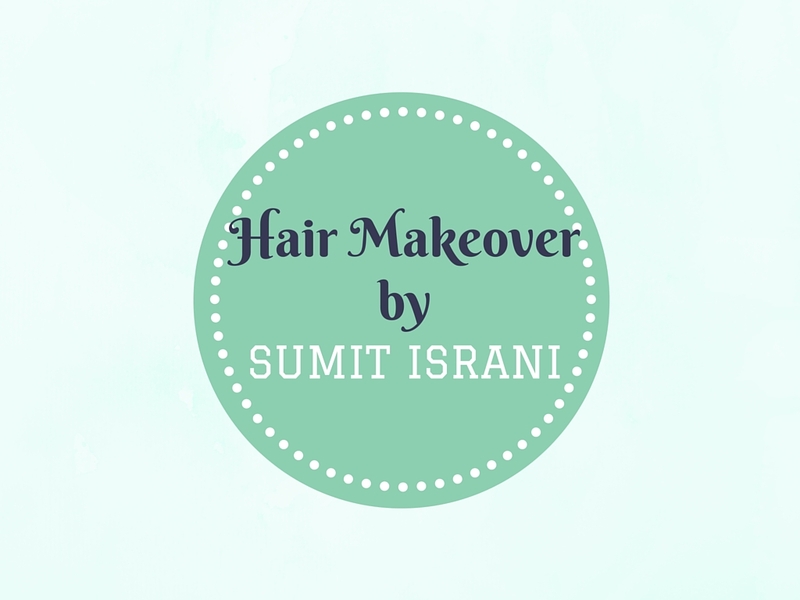 I have been fetching compliments ever since I got my glamorous hair makeover from Sumit Israni, with all my friends complimenting how the hair cut and the color gives me a youthful and fresh look. If you are also bored of your hair color, and want to try a fresh and easy-maintenance look, Balayage is your perfect pick. You look super cute :) So precise and detailed thanks! May I know what was the charges all this global hair color and than the highlights?? As I'm also planning for the same procedure. Firstly Global hair color and than the highlights. Hey Priya, Charges depend on the hair length. For global + highlights, it will come around Rs 10,000 + taxes. 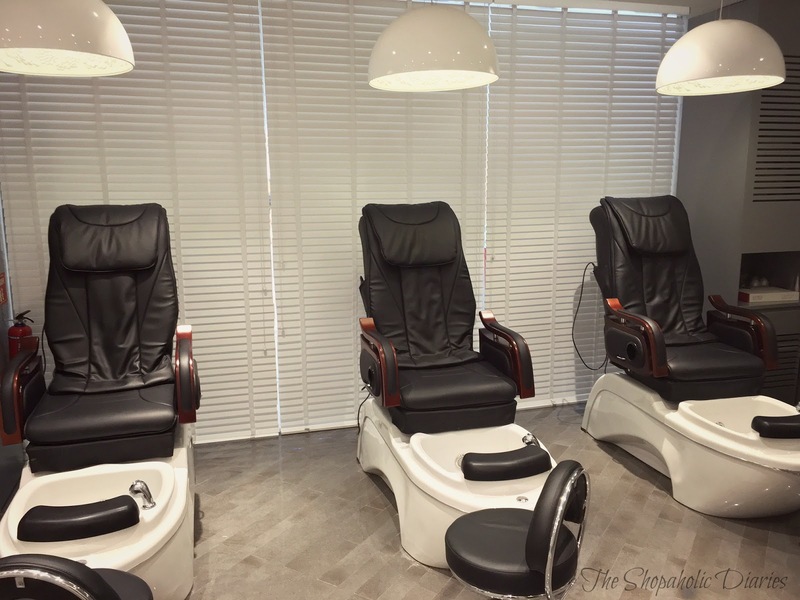 However, I recommend you call the salon for latest charges as they have a lot of offers going on time to time. wHAT ARE THE CHARGES DEAR?